There are many different forms of paint brushes out there, all of which perform different tasks more efficiently than the rest. There are fan brushes, fine detail brushes, paint rollers, large thick bristled brushes meant for painting wider areas, and so on. There is actually even more variation between the different styles available than the bristles themselves however. Even the material of the handles can vary. While you can break it down into several different categories – especially when considering everything that’s used to manufacture different brushes – the two overarching styles are essentially brushes with long handles and brushes with short handles. In general, long handled paint brushes are best if you’re going to be working farther away from your canvas. Expressionistic artwork works well with this sort of brush since you aren’t going to be particularly concerned with small, up close details. A lot of brushes meant for painting larger canvases and like are typically made with longer handles due to this reason. The concern is more with just getting the paint down than with how it looks with your face just an inch or so away. Many oil painters prefer the longer handle paintbrushes, it allows them to paint standing up, and not too close to the canvas. Watercolor painters use the long handle brushes when they go outdoors to paint in a nature or urban environment. The outdoors seem better for long handles when there is more space and freedom for the strokes. Of course, the opposite is true when it comes to short handled painting brushes. 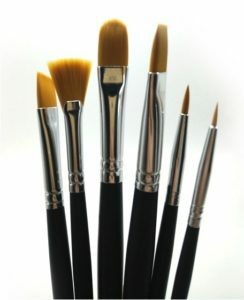 Many of the brushes with smaller bristles also have short handles because they are best used when working as close up to your canvas as possible. This kind of handle is perfect for when you need to have more intricate and exacting strokes in order to craft fine details in artwork. As far as home improvement applications, smaller brushes also allow more precise strokes when tackling smaller canvas and paper pads. If you want whatever you’re painting to look a specific way, a brush with a shorter handle will almost always help you get there more efficiently. Those who do crafts also use short handle paintbrushes. Painting an airplane model, a tank model, an antique car model all those require precise painting achieved by the shorter handles. So as you see, all of the different ways that the unique styles of paint brushes are manufactured really do serve specific purposes. Each variation will help you perform certain tasks as effectively as possible.You may want to have a canvas roll up case to carry your brushes, either long or short handles. If they are in an organizer case they are better protected than just thrown in a bag. Few brushes are really good for all around use with all sorts of different applications, although many people are able to stretch the boundaries of whatever their favorite brush might be by using just the corners or dabbing the paint on in different ways. 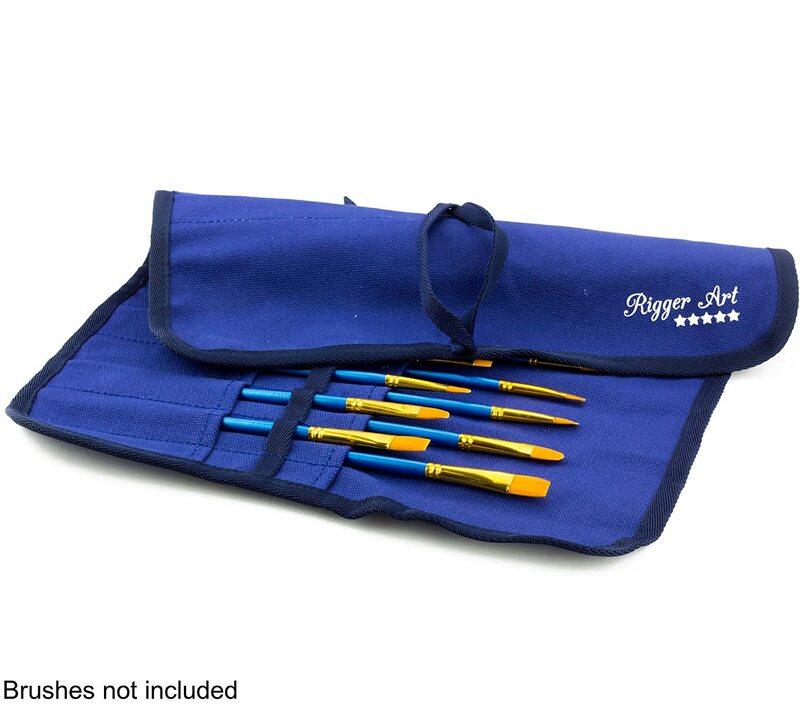 Zippered large mesh bag to carry your art supply. Regardless of which supply you pick, at an early stage a painter will need all of the three. Click here to get your artists bundle kit. 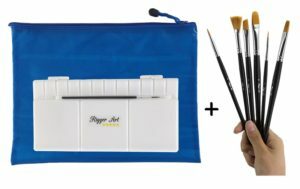 This entry was posted in Paintbrush Holder, Painting Brushes and tagged Acrylic Brushes, painting brushes, Rigger Art Brushes, Short Handle Paintbrushes, Synthetic Paintbrushes, watercolor brushes, Watercolor Paintbrush by RiggerArts. Bookmark the permalink.